Or a chef might include a photo of her famous burger between a question asking diners their opinion of it and the section provided for their answer. For more information on creating and editing surveys in Forms, check out the Help Center. Google Forms makes it easy to create, distribute, and analyze surveys. Starting today, you can craft even more effective forms by inserting images into survey questions or adding images as multiple choice or checkbox options in Forms on the web. 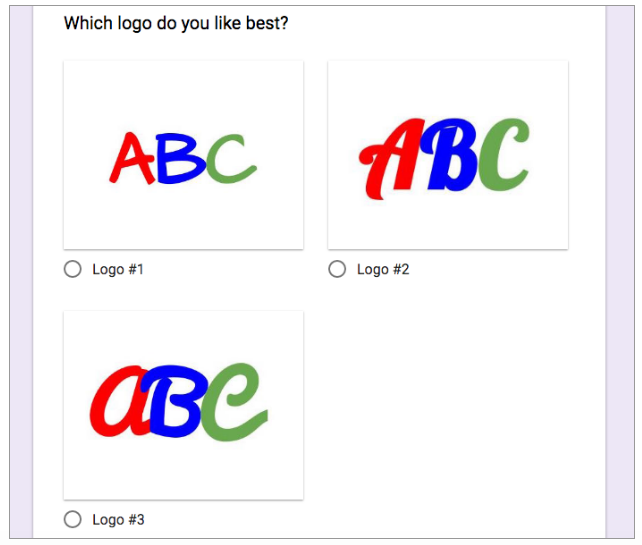 For example, a graphic designer might ask a business owner to to pick one of three different logos, pictures of which would be offered as multiple choice answers.